Investment in Gold > Here's A Helpful How To Get Started Resource! Making an investment in gold can be a great way to shelter your assets from the volatility of the stock market, as well as the declining dollar. But with so many different types of options available to you, it can be a little overwhelming for those who are new to investing in precious metals. 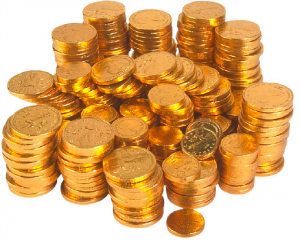 Should you invest in gold coins? Bullion? An IRA backed by a variety of precious metals? There are unique benefits to each type of investment, so be sure to do a little homework first. Don’t worry – investing in gold doesn’t have to be complicated. With a little know-how, and the help of a knowledgeable precious metals advisor, you can easily make an investment in gold that is perfectly aligned with your financial goals. Use the 3 frequently asked questions below to learn more about your options and guide you toward the right investment decision for your needs. An important first step to making an investment in gold is finding a professional dealer. This should not be a single person, but rather an established precious metals company. This will be your resource for not only buying the gold, but also determining which investments are right for you. A skilled gold specialist will guide you through the process, explain your options and help you choose what types of gold make most sense for your goals and preferences. Look for a company that has considerable experience in the sale of precious metals, as well as helpful staff that can answer your questions. Avoid any seller that uses high-pressure sales tactics to push you into making a hasty decision. What are the benefits of an investment in gold? 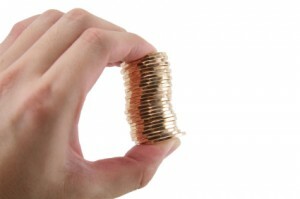 Investors of all ages and experience levels buy gold for different reasons. One of the most common reasons is diversification. When the stock market tumbled at the height of the Great Recession, many people saw huge portions of their retirement plans vanish. Those who were nearing retirement had to delay their plans and continue working indefinitely. Many people are thus diversifying their portfolio with gold investments to shield their savings from further market turmoil. Because of the historically stable growth of gold and its future growth potential, many investors view it as an ideal alternative to investments in paper assets. It can also help preserve wealth and protect your purchasing power as a hedge against inflation and the declining dollar. What kind of gold should I invest in? If you are diligently planning for retirement, then you may want to consider a gold IRA. Gold-backed IRAs offer the tax benefits of a government-approved retirement account, without the risks associated with paper investments, like mutual funds and bonds. Other common options for investors include gold numismatic coins and bullion, both of which can help diversify your portfolio while having growth potential. Gold proof coins, like the American Eagle coin, can also be added to a precious metals IRA. For more information on investing in gold, contact Birch Gold Group by calling (800)355-2116 or by filling out the form on this page. As a leading precious metals firm, rated A+ by the Better Business Bureau, we offer a variety of gold investment options and can walk you through the process, step by step. Contact us today and one of our knowledgeable precious metals specialists will be happy to assist you.